I have been very fortunate to have been supported by my colleagues in the Emergency Department as well as NHS Lothian who have allowed me to be part of the team supporting this humanitarian effort. Thanks everyone! The Rohingya are a minority Muslim group who come from Myanmar. They have been forced to leave their country crossing the border into Bangladesh to seek peace and refuge. 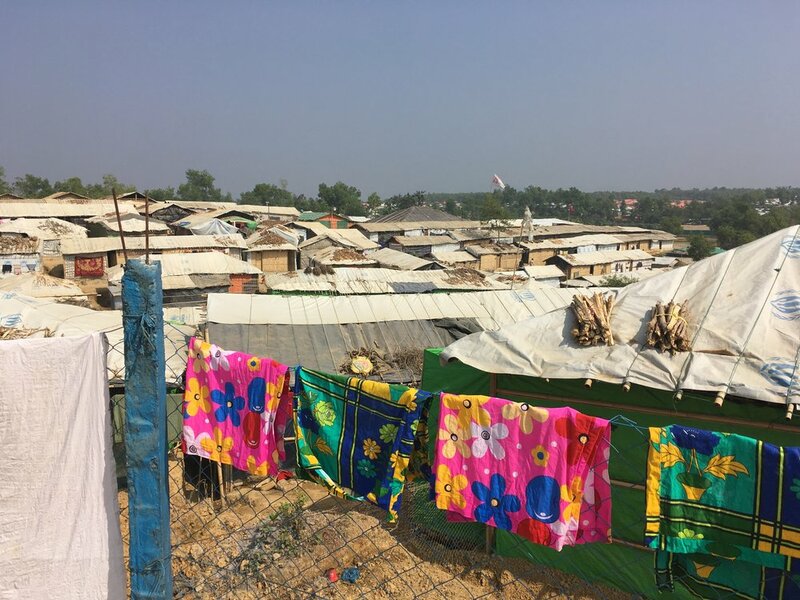 There are almost a million people in this area, the largest refugee camp in the world. Many of the refugees are children. In November 2017 the World Health Organisation declared an outbreak of diphtheria, a disease we have not seen for generations in the UK thanks to our extensive vaccination programme. 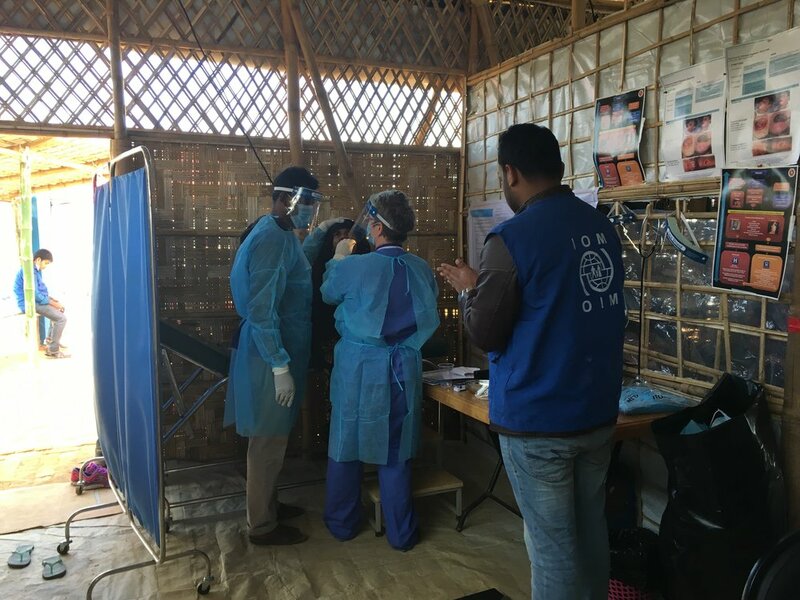 The Rohingya population have not been vaccinated and living in such close quarters here the disease has spread quickly, especially amongst children. UKMED are a charity supported by DFID and the UK government and they manage the logistics of the UK's Emergency Medical Team. They had already deployed a team to Bangladesh when I was asked if I was available to come for 3 weeks as part of the second wave. 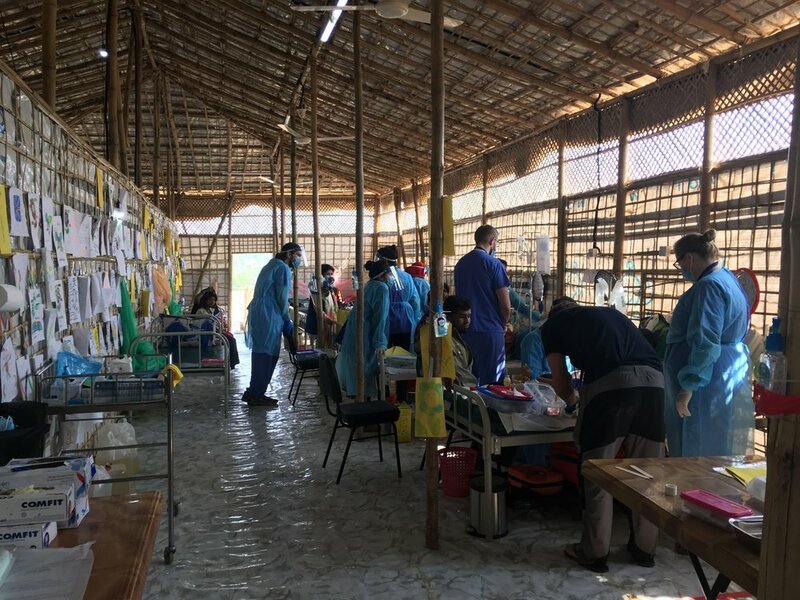 The primary team have done an excellent job at working with other aid agencies and have set up 3 clinics with the help of the British fire and rescue services (ISAR) for the treatment of diphtheria. Day 1 at the diphtheria treatment clinic. After a long journey out and a training day yesterday I left early this morning. We travelled with the primary team to the clinic for an orientation day. The day started as chilly and misty. We arrived after an hour at the clinic to find the local Bangladeshi doctors and nurses providing an excellent initial triage system. Potential patients for admission are discussed with the UK medics and this would be part of my role. The clinic triages up to 100 patients a day. Today we admitted 10 and have given the anti toxin treatment to 3. The is a long, difficult and potentially dangerous process for the patient. It takes approximately five hours for the infusion and requires meticulous care and attention, no fluid pumps here!! Significant reactions are fairly common and two of the three had such reactions today. One experiencing itch and cough and the other breathing difficulties, rash and facial swelling. Difficult decisions have to be made, should we continue with the potentially dangerous infusion or is it not worth the side effects? The first patient, with patience and good nursing care managed to finish her treatment. The second got through most of it with treatment for his reaction to the toxin but towards the end we stopped the infusion considering it too risky. The anti toxin is given to reduce serious airway compromise and also to reduce the long term sequele of myocarditis, neurological deficit and renal disease. We had two ward rounds looking at lots of throats and deciding who was highly suspicious for the diphtheria pseudo membrane, giving antibiotics and considering the anti toxin. Wandering around the camp we can see how despite great hardship homes have been constructed from bamboo, toilets look pretty clean and deep water Bohr holes are being dug out. These people clearly have great resilience and appear warm and welcoming. 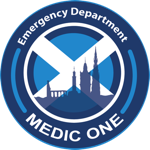 Edinburgh Emergency Medicine content is licensed under a Creative Commons License.